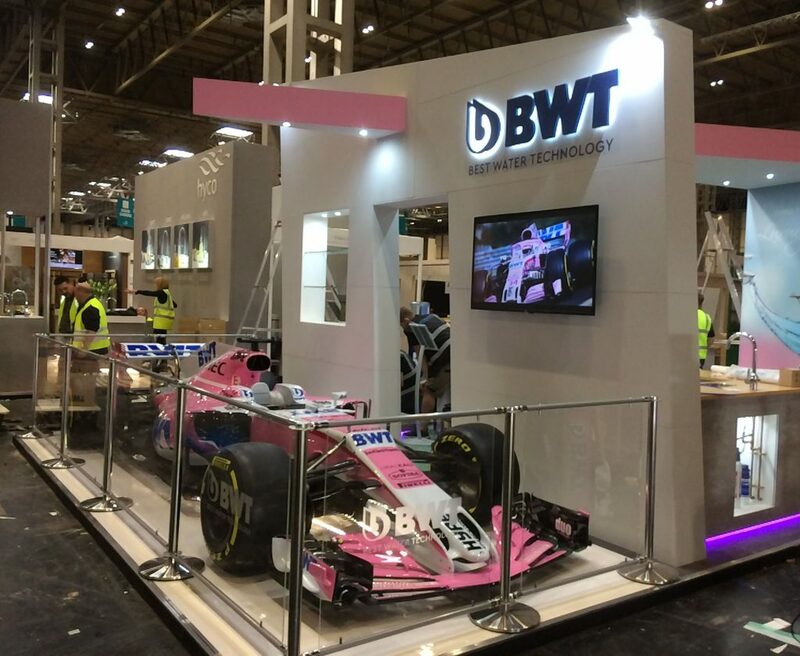 Brandline were recently approached by a company exhibiting at the NEC in Birmingham. They had a problem. 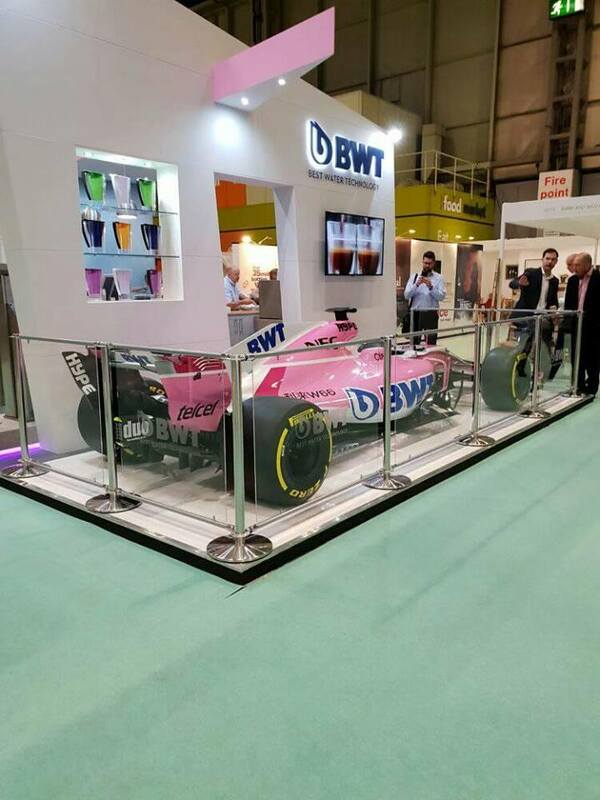 Part of their stand was allocated to show the Force India “Pink Panther” F1 car that they were sponsoring. Client was looking to cordon off this F1 motor car. Whilst they wanted protection for the vehicle, they also did not want to cause detriment to the visual impact. Whilst they wanted to add an element of protection to the car. 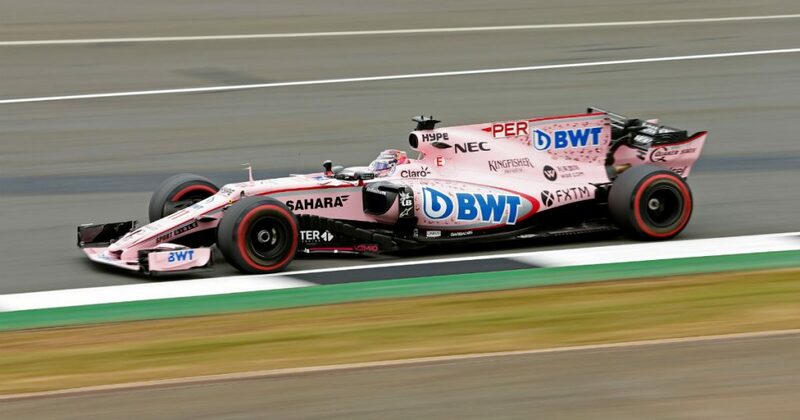 They still wanted the public to see the full glory of an F1 motor car. We looked at several options. Retractable Barriers or Rope and Post. Whilst these would not impede the visual impact of the car, they offered limited or no protection against people accessing the car. Both the rope and the webbing could easily be brushed aside. Our Rope and posts system. Looks great, allows visual awareness, but only offers limited protection. 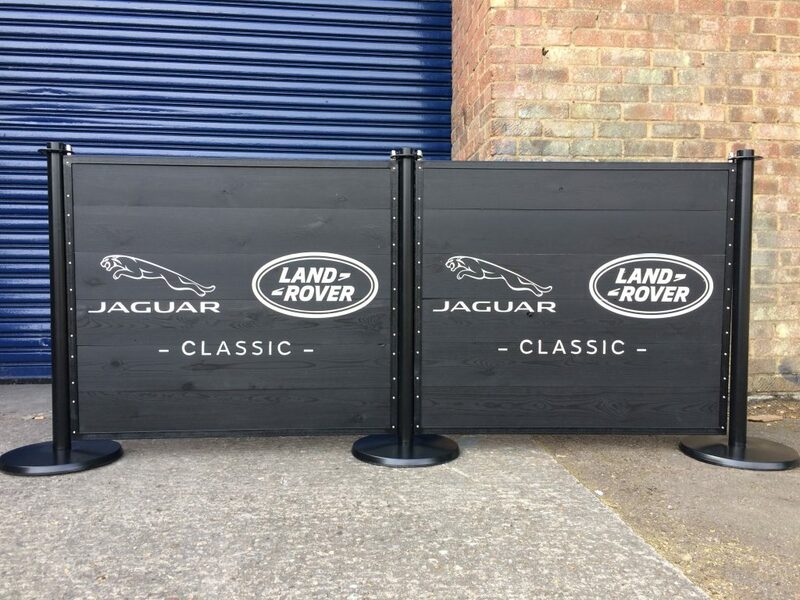 We have manufactured many cafe barrier type products for the motor industry. 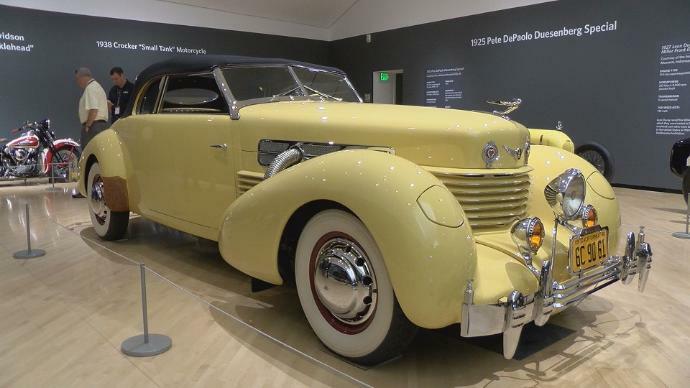 Volvo, Mercedes and Jaguar to name but a few. 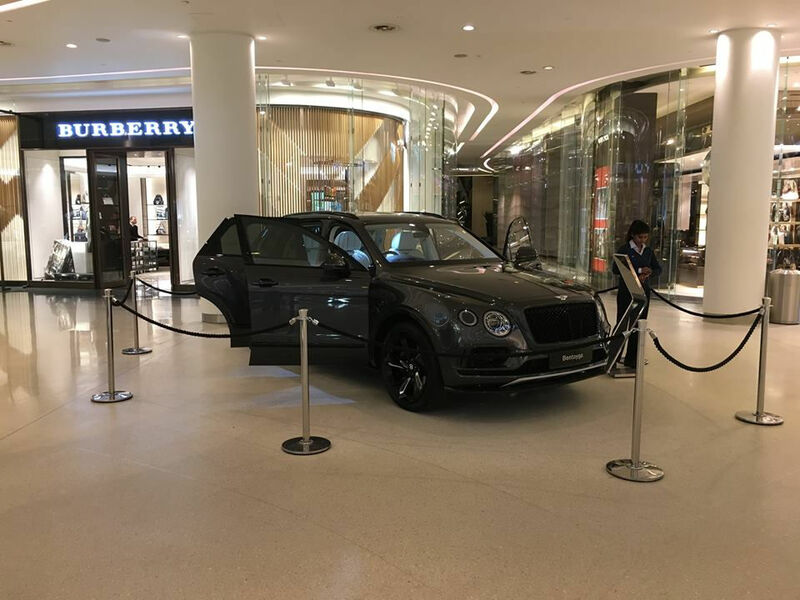 Whilst the protection level is good, visually the banners or panels have a huge impact on the aesthetics of the display. Again, whilst keeping in line with the aesthetics, the protection is not adequate for what the client is looking for. Finally, we decided that the best solution would be the clear acrylic barrier. Whilst allowing full visual access to the motor, the public were limited on access. We infrequently branded the panels. The client was more than happy! This entry was posted in Barrier Rope, Cafe Barriers, Cafe Planters. Bookmark the permalink. ← Why the Natural Post Cafe Barrier?